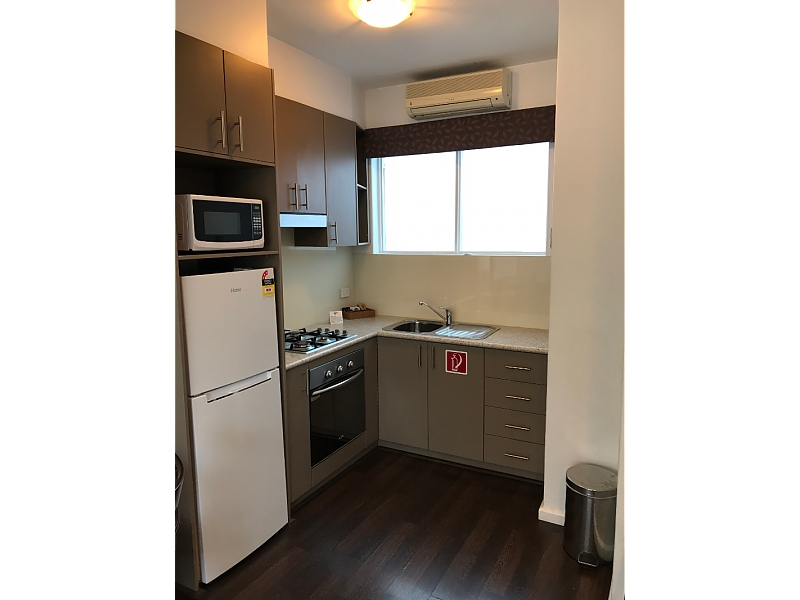 Modern Family Studio Apartment with kitchenette facilities including kitchette with fridge, microwave, crockery and cookware. 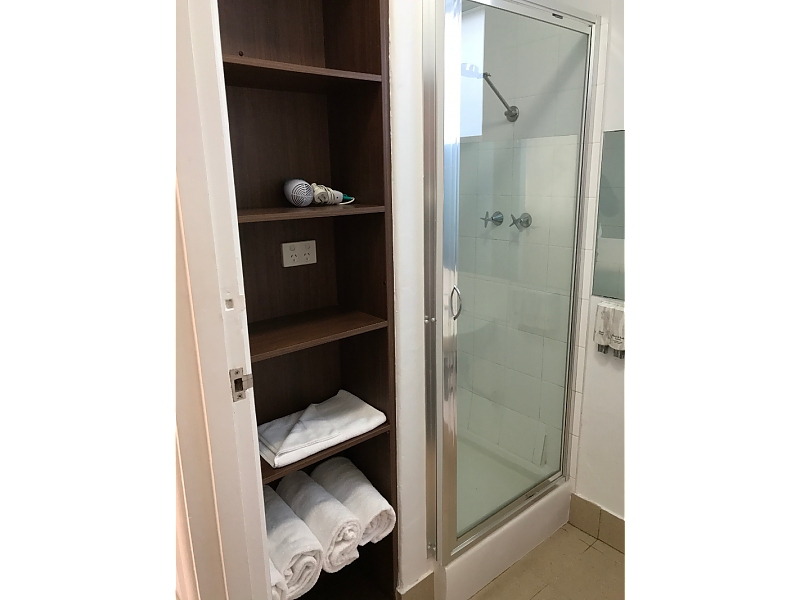 Personal airconditioning/heating, remote control colour TV, en suite with shower and toilet. 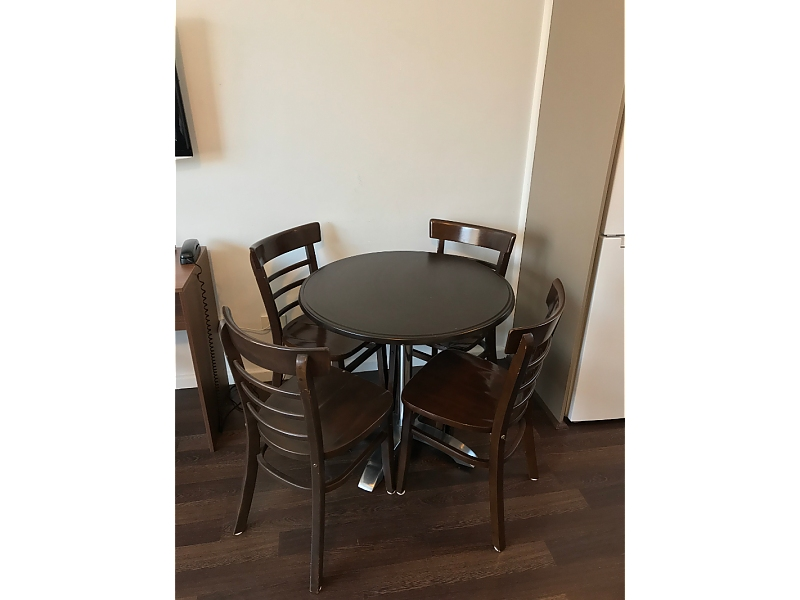 Weekly houskeeping and Free Wifi in all rooms. 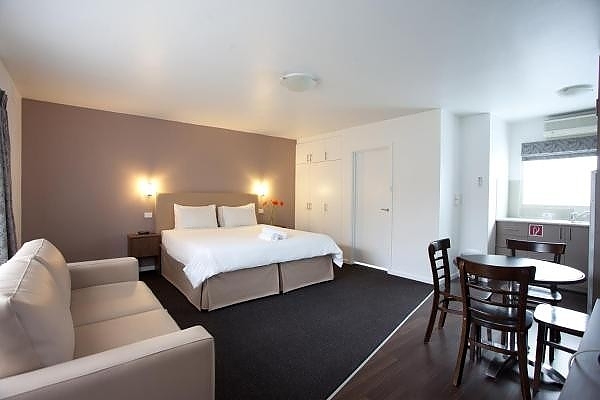 The bedding configuration in the room is 1 x King bed. 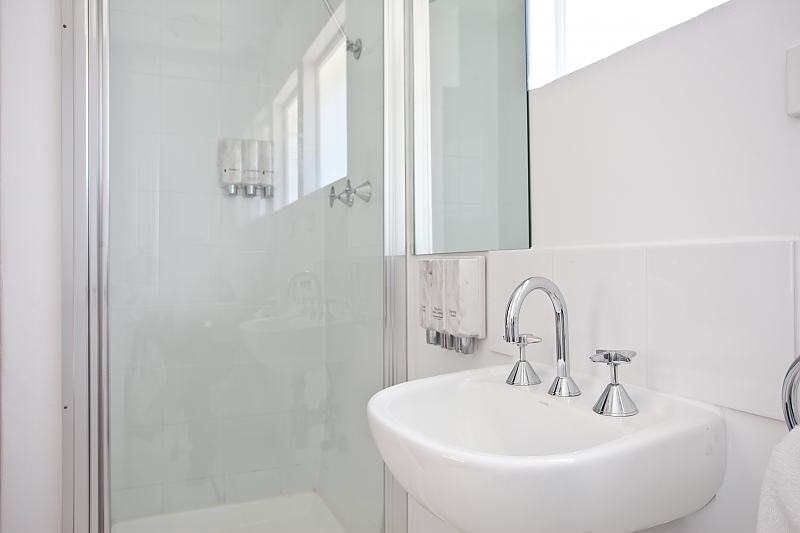 Looking for affordable, quality Studio Apartment accommodation in St Kilda? 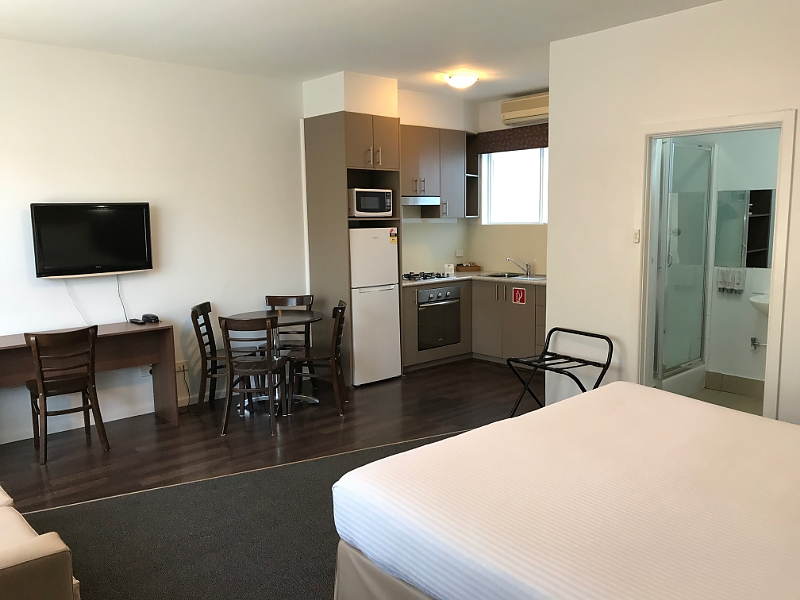 Easystay Studio Apartments offers 3.5 Star Studio Apartments in the heart of one of Melbourne's most vibrant beachside suburbs. 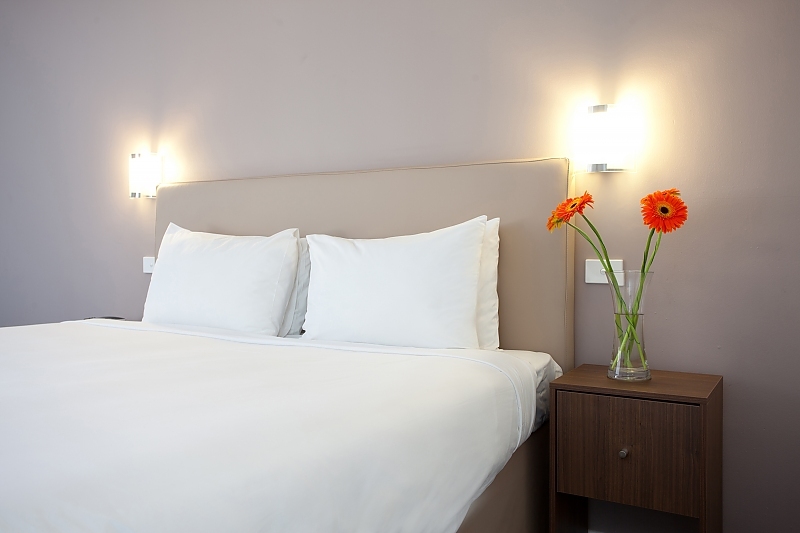 Family Apartments are available, accommodating between two and four guests. 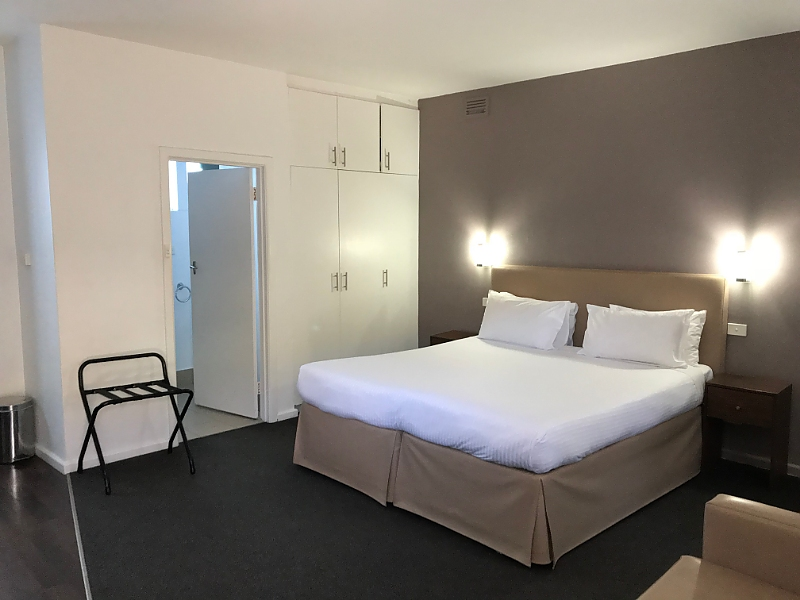 Conviniently located within central St Kilda, you don't get much more central than Easystay Studio Apartments. 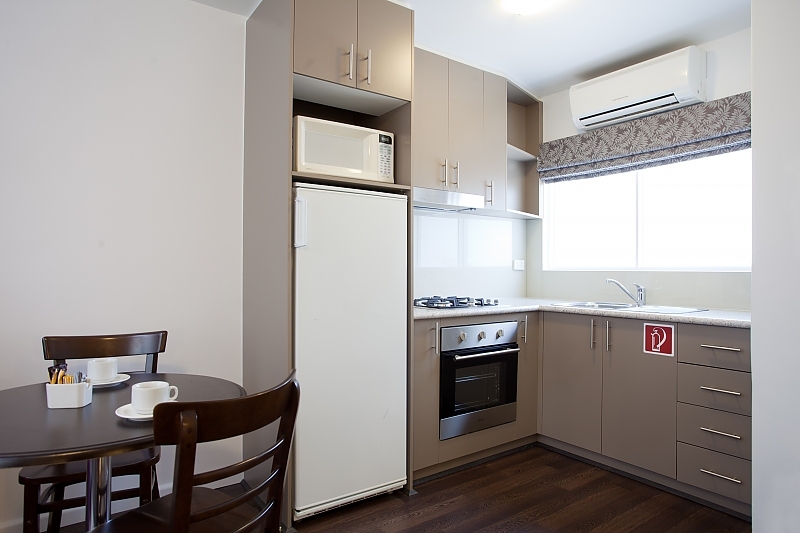 The apartments are located at 62 Carlisle St a short walk from trams, Acland St, supermarkets, dozens of restaurants, cafes and bars. 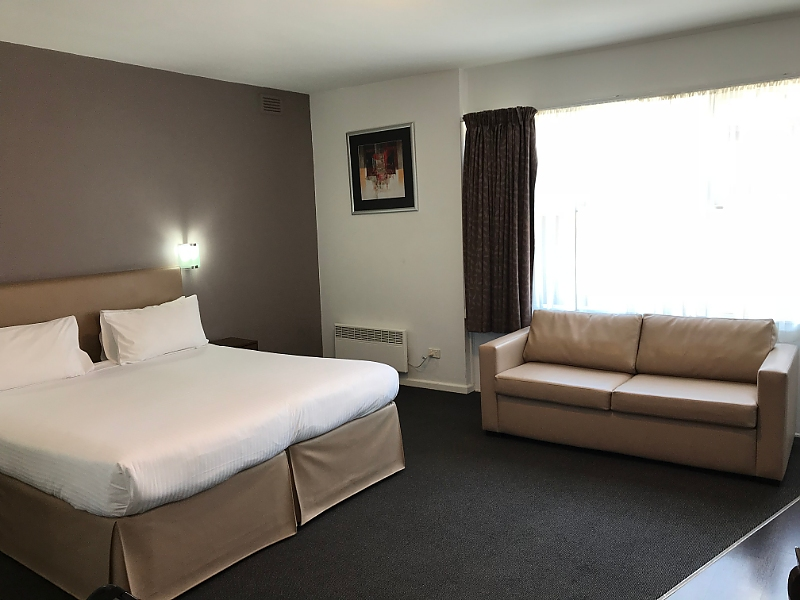 With only 20 minutes travel time to central Melbourne, Easystay Studio Apartments are your ideal holiday or business base in Melbourne.